When you think of NASCAR, the first thing that pops into your head is probably the sound of roaring engines and an image of cars zooming around a track. 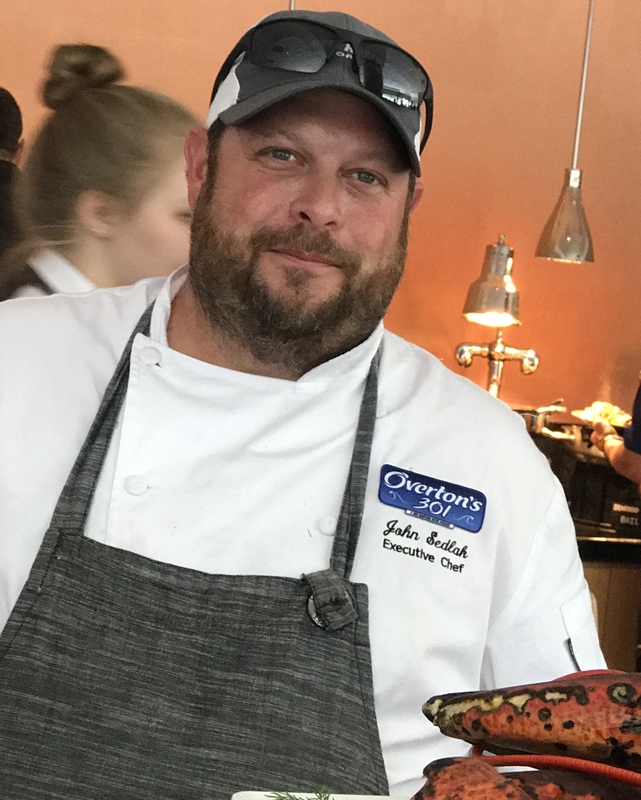 For Executive Chef John Sedlak at Charlotte Motor Speedway, however, NASCAR and racing means food and the opportunity to incorporate southern food culture into every race and event at the speedway. John has been a chef since he was 8 years old. His first foray into cooking happened when his parents went on a cruise and left him home with his older brother. One day during his parents’ vacation, John pulled a stool up to the stove and started cooking some eggs, and he’s been in the kitchen ever since. From those first days in the kitchen at home to professional kitchens thereafter, John has held just about every position possible in the food service and hospitality industry. After working at fine dining restaurants for a few years in Charlotte, John joined SMI Racing in 1991 and was introduced to NASCAR and the racing world. He joined Levy in 2001 when Charlotte Motor Speedway became part of the Levy family. Q: As a chef, what was the biggest difference you noticed moving from restaurants to Charlotte Motor Speedway? A: I think the biggest difference I noticed is the way we produce food at the racetrack is very different from a traditional restaurant. The racetrack is huge and spread out, and our kitchens are in one spot but where we’re delivering food might be a mile away, so the logistics are very different. And it’s loud, it’s very loud. Q: You’ve been in the NASCAR and racing world for just a few years now, what makes NASCAR fans different than other sports fans? A: The fanbase for NASCAR is very generational. If your grandfather was into it, then your father was into it, and you’re a fan as well. It’s very family-oriented and these fans have been coming to the track for years as kids and now as adults. At Charlotte, the fans and the NASCAR culture make this a totally different and fun place to work. We’re in the south, so we really try and incorporate popular southern flavors into the food we create, like BBQ pork and fried chicken sandwiches. Q: You’ve got the Coca-Cola 600 this weekend, how do you prep for the race? A: Each race has its own vibe. The Coca-Cola 600 is the longest race at 600 miles long, so it’s different because it starts during the day and finishes at night under the lights. When we’re prepping the menus, we like to do some items that really wow the taste buds of our guests but won’t scare them off either. This year we’ll have four food trucks, we’re doing high-end burgers, whole pig butts on custom boards with custom BBQ sauces, high-end cocktails, a fresh chicken sandwich, and a lobster grilled cheese. Q: As an Executive Chef who has worked as a dishwasher, short order cook, chef, food broker, and more, what advice do you like to give to up-and-coming chefs? A: I like to tell young people that they should work at everything, as long as each job is a little different and you take something from it when you leave, all of that work will make you a well-rounded chef. I also recommend that they take inspiration from other chefs. Some of my biggest influences come from sitting down with my peers and just talking during downtime. My team and I have come up with a spark of an idea from just talking and built upon that until it’s where we want it to be. Finally, I tell them to never strive for perfection because you’re going to be disappointed. Nothing is ever going to be perfect, but you always strive to get your idea across. That’s why I love to cook, it’s instant gratification. You create a dish and people will eat it right in front of you, and you can tell right away if you’ve hit a home run – and that’s truly satisfying.